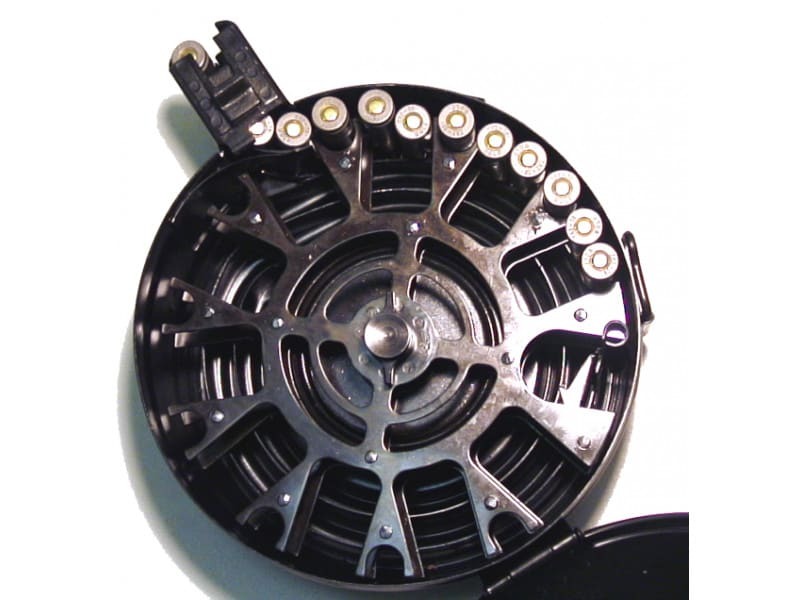 75 round high capacity drum magazine for AK-47 rifles. 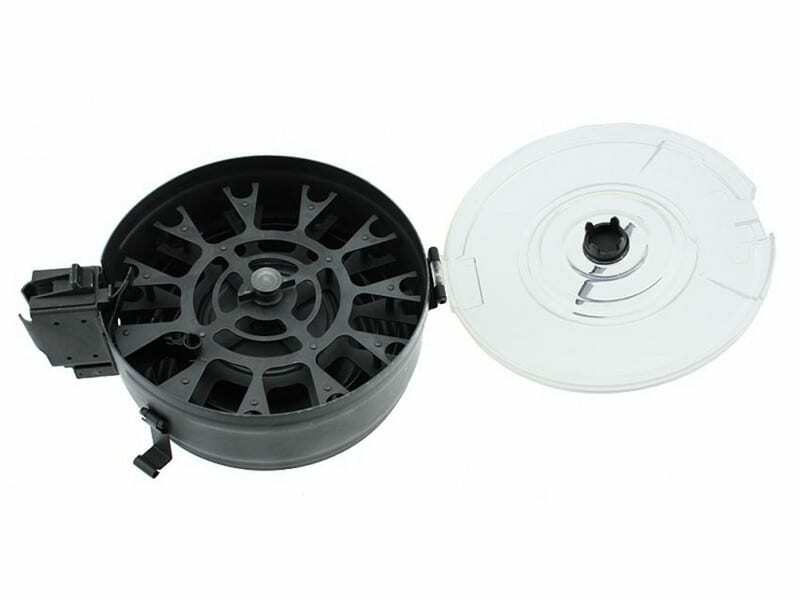 Rear Loading, fits all high cap 7.62 x 39 caliber AK-47 type rifles. 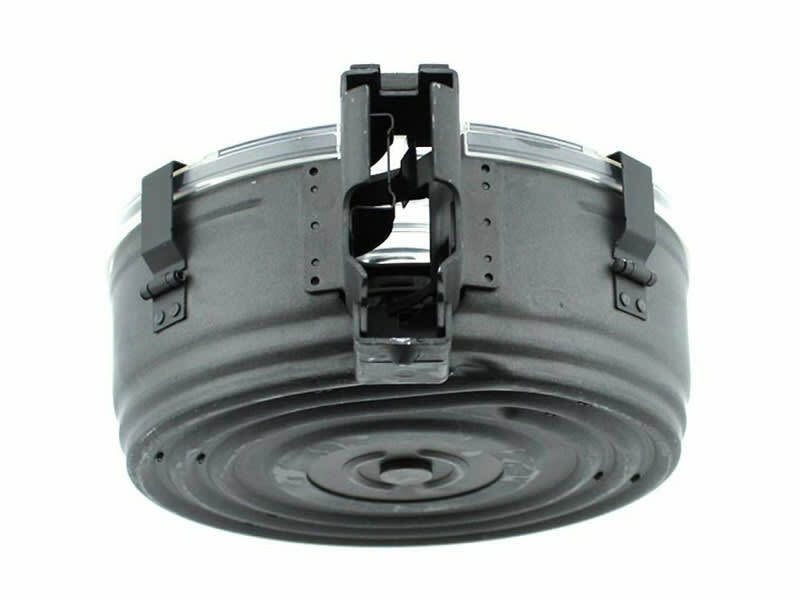 These are the rear load style AK-47 75 round Drum magazines. The rear loaders are the most popular for a couple of reasons. They are based on the original Chinese military design and function and feed flawlessly. Also, unlike other drums which are cumbersome to load due to having to be fed from the top one at a time, these drums load easily. 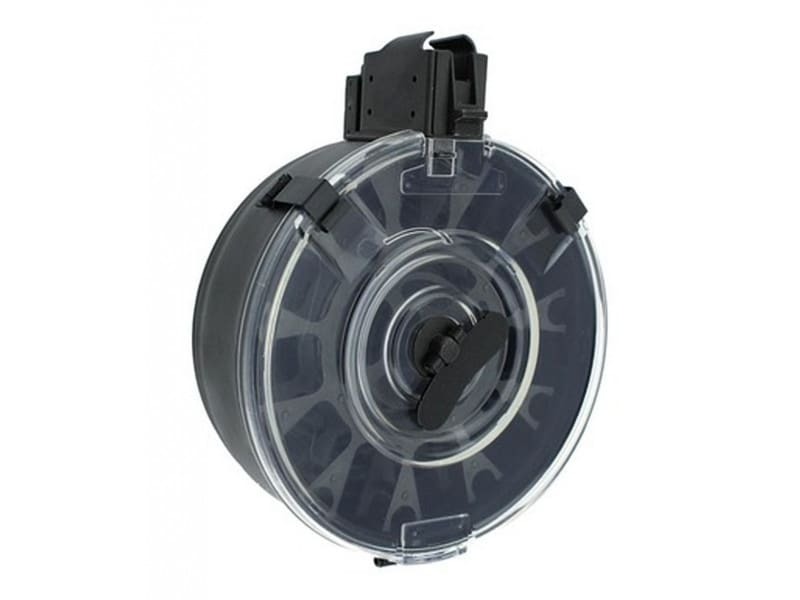 Simply open the rear cover and drop the rounds in. 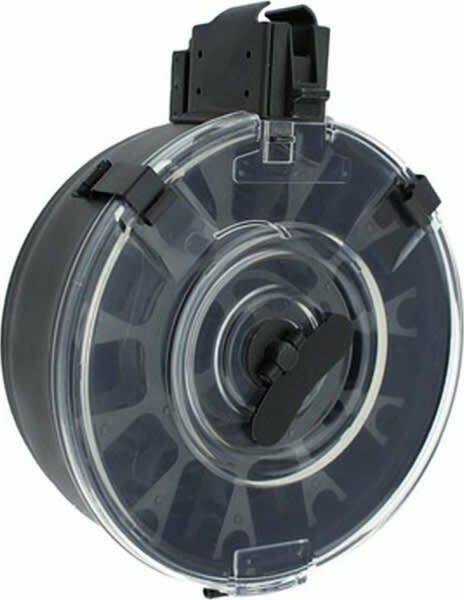 They can also be stored fully loaded with no pressure on the springs, then, when you are ready to use it, simply wind the spring using the winding key, snap it in the rifle, and you are ready to go. Newly manufactured to military standards in South Korea. Individually boxed. Clear backplate provides a clear vision of the number of rounds remaining in the drum.